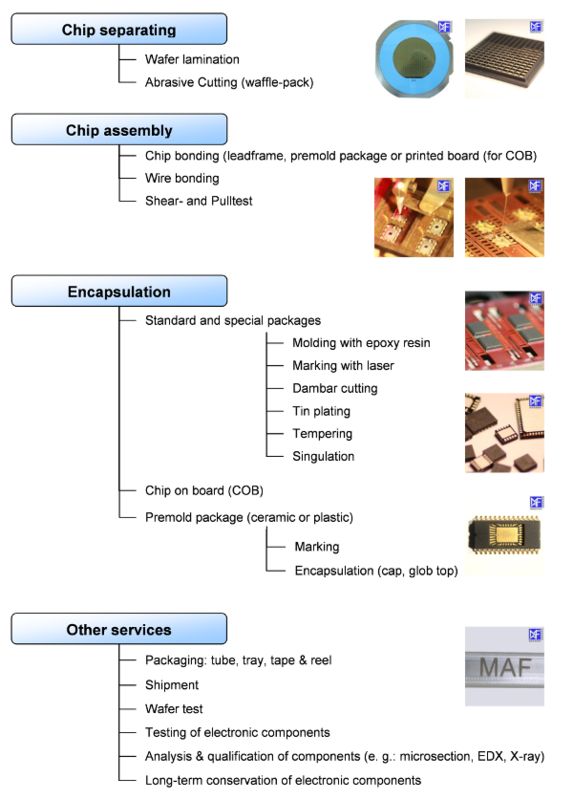 Reliability of a component is essentially determined by its encapsulation. We integrate components into packages of most diverse type. Package form and kind of package depends on the size of the die, the required number of pins and the power dissipation. To adapt our technologies and processes demand-actuated to our customers wishes is one of our special strengths. This enables a customer-specific product development with maximum flexibility. In amalgamation with HTV-group of companies all further possibilites in terms of test, analytics and qualification for wafers and housed components are, moreover, at Your disposal.